These delightfully fruity Orange Crush Soda Cupcakes with Orange Crush Soda Buttercream Frosting are made from scratch and packed with citrus flavor in every bite of the cupcakes! 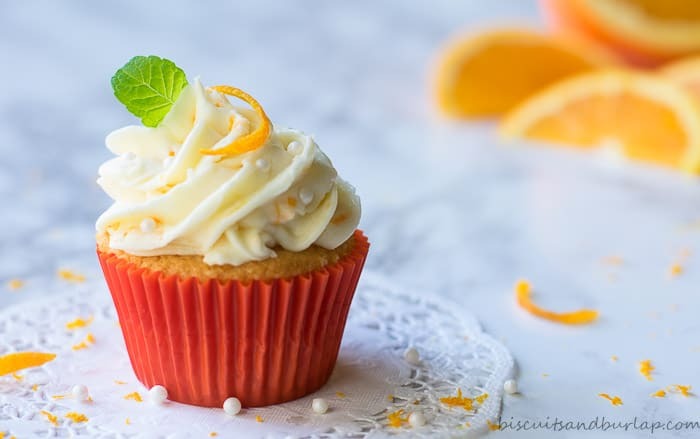 The classic soda flavor of Orange Crush Soda is used to make these super soft and moist cupcakes and their perfect topping, the equally delicious soda-infused buttercream frosting!... YUM,YUM this is all I can say about these cupcakes….. First time I have made them and for sure it will not be the last. Next time I plan to put even more orange zest in the frosting as well as making more frosting, which by the way, is addictive. Makes 24-30 cupcakes. Depends on the size of your ramekins. Preheat oven to 190C/375F. In a small bowl, mix together all wet ingredients + orange zest. Depends on the size of your ramekins. 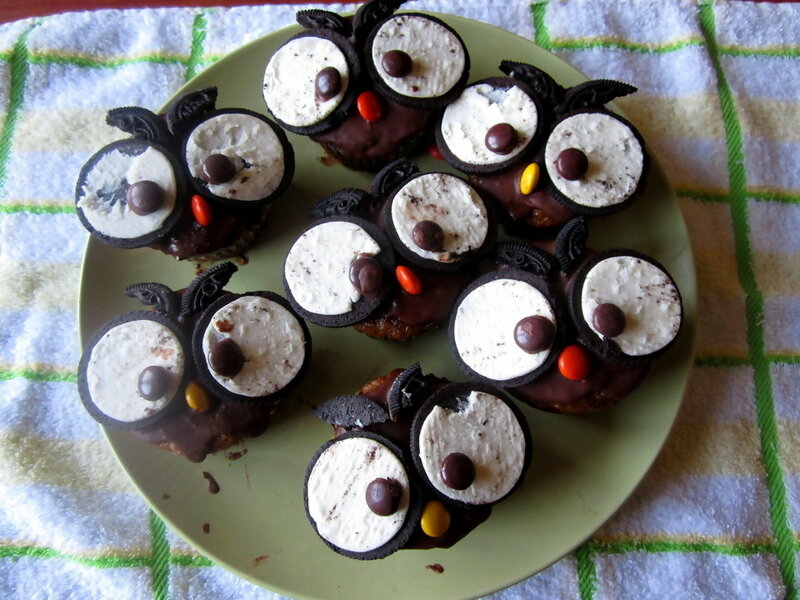 Preheat oven to 190C/375F.... YUM,YUM this is all I can say about these cupcakes….. First time I have made them and for sure it will not be the last. Next time I plan to put even more orange zest in the frosting as well as making more frosting, which by the way, is addictive. Let cool 5 minutes, then remove the cupcakes to a rack to cool completely. Meanwhile, make the frosting: Bring the orange juice to a boil in a saucepan; reduce the heat to …... These delightfully fruity Orange Crush Soda Cupcakes with Orange Crush Soda Buttercream Frosting are made from scratch and packed with citrus flavor in every bite of the cupcakes! The classic soda flavor of Orange Crush Soda is used to make these super soft and moist cupcakes and their perfect topping, the equally delicious soda-infused buttercream frosting! Instead of cream, use orange juice and orange zest, or replace part of the cream with a tablespoon of bourbon or apple juice. Add cocoa and a little more cream to make a rich, fudgy version. You really can tailor buttercream frosting into the perfect match for any dessert. How to make Pineapple Orange Cupcakes. Start by preheating the oven to 350 degrees F. Line a muffin tin with cupcake liners. This recipe makes 24 cupcakes. 6/08/2012 · Meanwhile, prepare the orange cream cheese frosting. In a food processor or with an electric mixer, beat the icing sugar and butter until well mixed. Finely grate the rind of an orange and add to mix, then add the juice of half the orange to mix and combine well. YUM,YUM this is all I can say about these cupcakes….. First time I have made them and for sure it will not be the last. Next time I plan to put even more orange zest in the frosting as well as making more frosting, which by the way, is addictive.